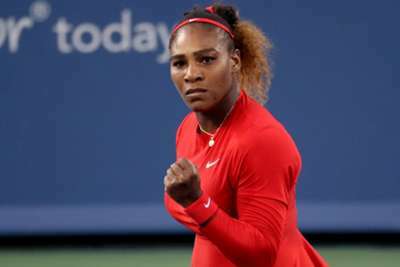 Serena Williams fired an ominous warning to the rest of the Cincinnati Masters field with a crushing victory over Daria Gavrilova, while Victoria Azarenka progressed on Monday. Former world number one and 23-time grand slam champion Williams steamrolled the Australian in straight sets in just over an hour. Azarenka – the 2013 winner – outlasted Carla Suarez Navarro to book her spot in the second round of the tournament. Latvian 11th seed and 2017 French Open champion Jelena Ostapenko surrendered a lead as she lost to Alize Cornet, but 10th seed Madison Keys survived against Bethanie Mattek-Sands. The two-time champion made an emphatic return to the court courtesy of a 6-1 6-2 rout in the opening round. Williams skipped the Rogers Cup in Montreal last week after suffering the heaviest defeat of her career at the hands of Johanna Konta in the first round of the Silicon Valley Classic. The 36-year-old also shared the emotional challenges she has faced since becoming a mother to daughter, Alexis Olympia, in September. But the refreshed Williams looked back to her best against the Australian, hitting 27 winners and eight aces. 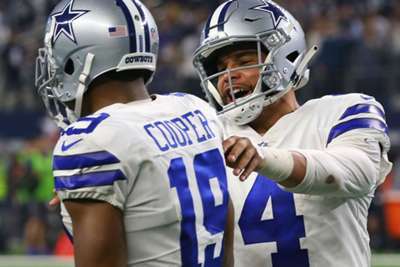 "You've got to be able to go back-to-back," said Williams. "I don't get byes anymore right now. I'm OK with it." Next up for Williams is eighth seed and two-time Wimbledon champion Petra Kvitova. Former world number one and two-time Australian Open winner Azarenka rallied to beat Navarro 6-7 (5-7) 6-2 6-4. A wildcard this year, Azarenka needed 55 winners and more than two-and-a-half hours to reach the next round. "I feel like it was a lot of ups and downs," Azarenka told reporters. "It was a good fight, there were moments of real high-quality tennis. Some moments, I was making a little bit too many mistakes on first or second shots, but I felt that [Suarez Navarro] played well." Azarenka will play sixth seed Caroline Garcia in the second round. After cruising in the opening set, Ostapenko lost 1-6 7-5 6-0 to Cornet in a stunning turnaround. Ostapenko surrendered her advantage as she suffered her eighth first-round defeat of the year. "I just kept fighting and fighting and fighting," Cornet said. "She was killing me in that first set, I didn’t see any balls. She was doing winners over winners, and I was just trying to be here and just put the ball in the court." As for 2017 US Open finalist Keys, she came from a set and a break down to defeat Mattek-Sands 3-6 7-6 (7-3) 6-4. Aryna Sabalenka also rallied to oust British number one Konta 4-6 6-3 6-4, while Svetlana Kuznetsova and Lesia Tsurenko progressed.